Brilliant read love books by this author, they all have a feel good factor. Yes they are love stories but NOT of the Milks & Boon type much, much better than that! Such an enjoyable read, makes me smile. 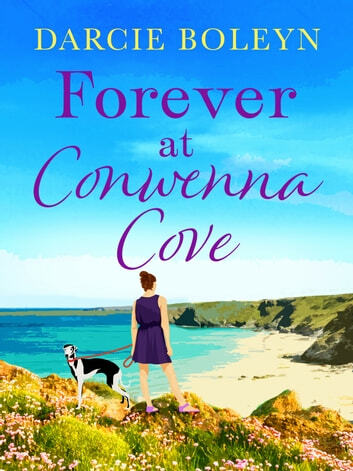 Even though Conwenna Cove is a relatively small town in Cornwall, it does not mean everyone knows everyone else, although, they know who they are. 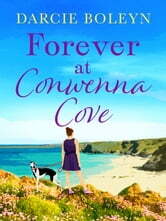 In this visit to Conwenna Cove we learn about Zoe. She moved there after a difficult episode in her life. Using the money left to her by her parents, she purchased and now runs the local diner. She recently lost her beloved adopted greyhound and is afraid to give her love to anyone or anything. In the other books in this series we met Nate. He is the local heartthrob, surfer dude and works at his uncle's cafe. He is getting ready to travel the world, but wants to run the fundraiser for the Greyhound Shelter before he leaves. This is where he runs into Zoe. He is meeting with local business people to ask for their support. He knows who Zoe is, but when he actually meets and talks to her, he realizes there is something more to her than he initially thought. Although reluctant to make a commitment due to his impending departure, he cannot resist her. She is dealing with her past and her reluctance to open up to anyone. Will these two be able to connect romantically? We meet up with many of the same characters I have grown to know and love in this series. It is a nice enjoyable read, comfortable, with romance, friendships, camaraderie of small towns and the magic of animals. I recommend this read to anyone who enjoys a good, clean romance that is very realistic, as well as animal lovers. You do not need to have read any of the others in this series to enjoy this book. I have come to enjoy Darcie Boleyn's books and look forward to the next one she has coming out. What a refreshing read. A feel good novel if you will. The ending puts a smile on your face. Well done.